Written by: Rebecca Miller on January 14, 2017. William Peter Blatty 89, passed away January 12, 2016 at a hospital in Bethesda, Maryland of a form of blood cancer called multiple myeloma. Blatty is best known for his novel which he turned to a screen play for the motion picture of the same name: The Exorcist. Blatty also penned several other screen plays and novels, most notably A Shot in the Dark, the second of the Pink Panther film series, and the novel Legion, which he turned into the screen play for The Exorcist III, which he also directed. Blatty was born in New York city to Lebanese parents, who had arrived in the United States on a cattle boat. He attended Brooklyn Preparatory, a Jesuit school, while fellow student Joe Paterno was the school football team’s quarterback. He then went on to Georgetown University and then George Washington University. Following university, he worked a number of short-term jobs until enlisting in the United States Air Force. While in the Air Force, he served as Policy Branch of the USAF Psychological Warfare Division during the Korean War. Upon leaving the Air Force, he worked with United States Information Agency, stationed in Beirut, Lebanon. 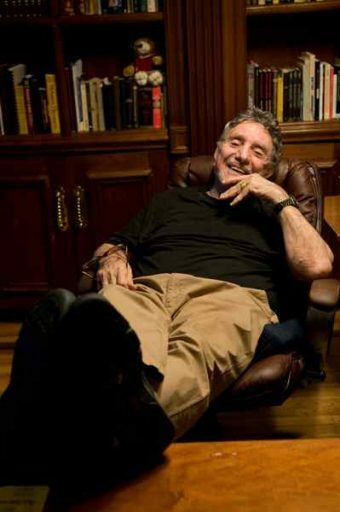 Back in the states, he worked as public relations director at Loyola University of Los Angeles and as the Director of Publicity at the University of Southern California until he won $10,000 on Groucho Marx’ “You Bet Your Life.” The prize winnings allowed Blatty to go into writing full-time. Blatty’s first big screen success was with A Shot in the Dark, the second Pink Panther film and other comedies. After this, he wrote the novel The Exorcist, which was #1 on The New York Times bestseller list for 17 weeks and stayed on the list for 57 consecutive weeks. He worked with director William Friedkin to create the screenplay for the film version, for which he won an Academy Award. He wrote a sequel, Legion, which he turned into the film Exorcist III, which he also wrote the screen play and directed. He also released such novel as Twinkle, Twinkle, “Killer” Kane, which he turned into the film The Ninth Configuration, Elsewhere, Dimiter, and Crazy. To Blatty, The Exorcist was never about being a horror story, though he did very much mean for scenes to be scary, but the book was more about faith. His catholic faith he practiced throughout his life. Our hearts go out to Blatty’s wife and children. He is a man who has brought many of us, frightened, sleepless night, but like him, let us look back and see the faith that brought us through.